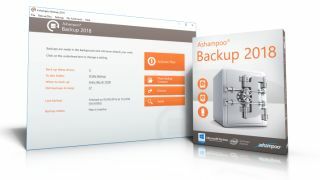 Ashampoo is giving TechRadar readers the opportunity to download the new Ashampoo Backup 2018 completely free (regular price US$/£24.99/AU$39.99). You'll receive a 10-day free trial of the software, after which you can unlock the full, unlimited version by entering your email address. Backing up your valuable files isn't the most fun task, and it's easy to put off, but it doesn't have to be a hassle. Ashampoo Backup 2018 is easy to set up, and can work silently in the background while you're getting on with other tasks. You can back your files up to a local drive, a network-attached storage (NAS) device, a removable device, or any cloud service that supports WebDAV (see Wikipedia's cloud storage comparison chart for details). One of Ashampoo Backup 2018's best features is its flexibility. You can back up whole partitions or hard disks, and even your entire Windows system. It also offers Smart Rules, which are automatic settings for particular apps, like Windows Mail (including your calendar and contacts) and all the most popular web browsers. You can choose either full or incremental backups, depending on your preferences. Full backups are quicker to restore in an emergency, but take more space. Incremental backups only copy the files that have been changed since the last full backup, which is quicker and creates smaller files, but is slower to restore because all the increments have to be combined. There's also support for versioning, letting you back up the whole history of a file and easily roll it back, and automatic file syncing. You can even make a Linux-based rescue disc in case you're unable to boot to Windows. Data integrity checks prevent faulty backups, you can schedule tasks (with adaptive sleep mode control), and everything is wrapped up in an interface that's easy to use and understand – even if you've never used backup software before. Get it free today and start protecting your files.